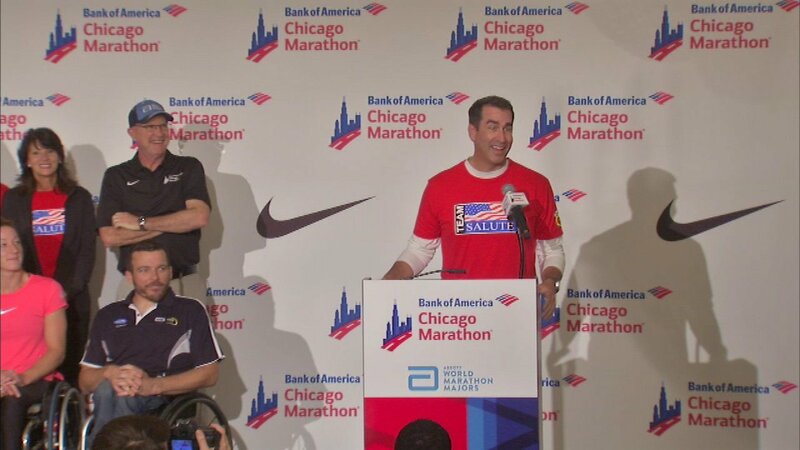 CHICAGO (WLS) -- Some of the best distance runners in the world are converging on Chicago's lakefront this weekend for the marathon, as well as actor Rob Riggle. The Bank of America Chicago Marathon's elite runners met with press Friday morning at the Hilton Chicago. This is the marathon's 39th year. Actor Rob Riggle also stopped by. He's running the race for a veterans' charity. The Chicago Marathon is Sunday, Oct. 9.